So I am aware that I have been a little quiet on this run up to Christmas which is a little strange for a food blog, right? Well the blogging Gods are testing me again. For the second time in as many months my blog has been hacked and I have spent the last 10 days putting it all back together again. 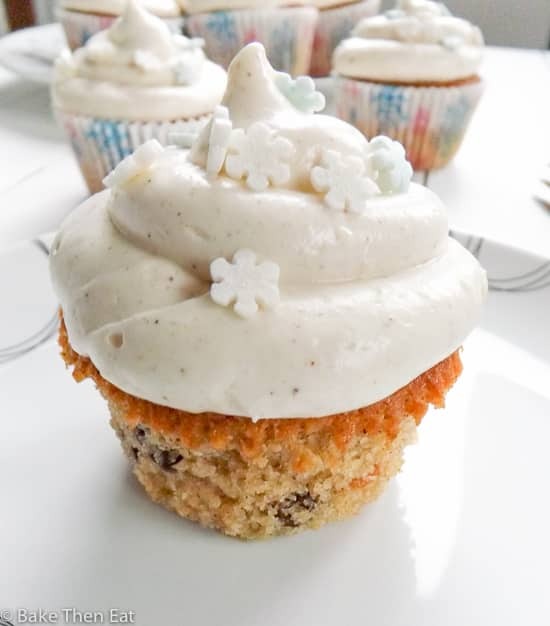 These Sweet Mincemeat Christmas Cupcakes were meant to be with you last week, but unfortunately I haven’t been able to share them with you till now. So with a deep breath of in with the love and out with the annoyance….. check out these sweet mincemeat Christmas cupcakes. 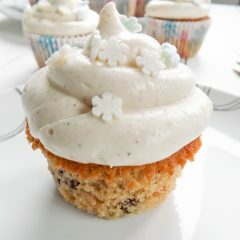 Soft fluffy sponge flavoured with warming spices and sweet mincemeat all topped off with a cinnamon cream cheese frosting. What more could you want in a cupcake? The sweet mincemeat gives the cupcakes a real Christmasy festive feel which is helped along with the sweet spices and mixed fruit. If you are looking for an easy Christmas dessert fix but don’t want to spend hours making it then these will suit you down to the ground. The cupcakes themselves are a basic sponge, flavoured up with cinnamon, ginger, allspice and of course sweet mincemeat. 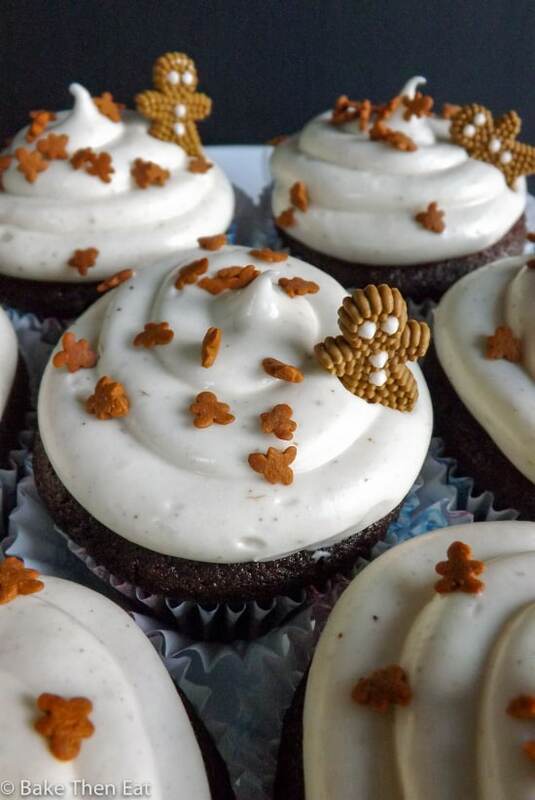 Now I used shop bought mincemeat for these cupcakes but by all means make your own sweet mincemeat this is a great simple recipe if you fancy giving it a try. Make sure your mincemeat is vegetarian. 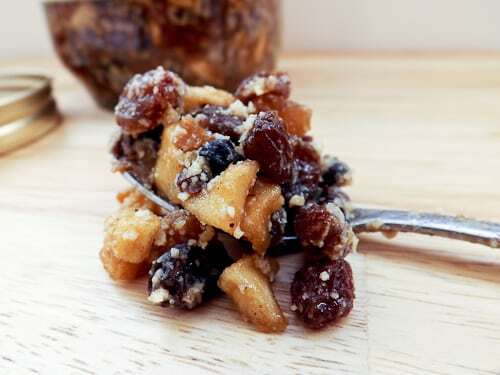 Traditionally sweet mincemeat is made using beef suet, nowadays most of it is made using vegetarian suet but not all of it so check out your labels. I’m not getting all preachy about using beef suet I just don’t know how it would work in this recipe. It could make the cakes very greasy. So please try and stick with the vegetarian kind. So why not try making these instead of the more traditional mince pies this year or just have them on the dessert table for those of you that are not big into Christmas cake or Christmas pudding. 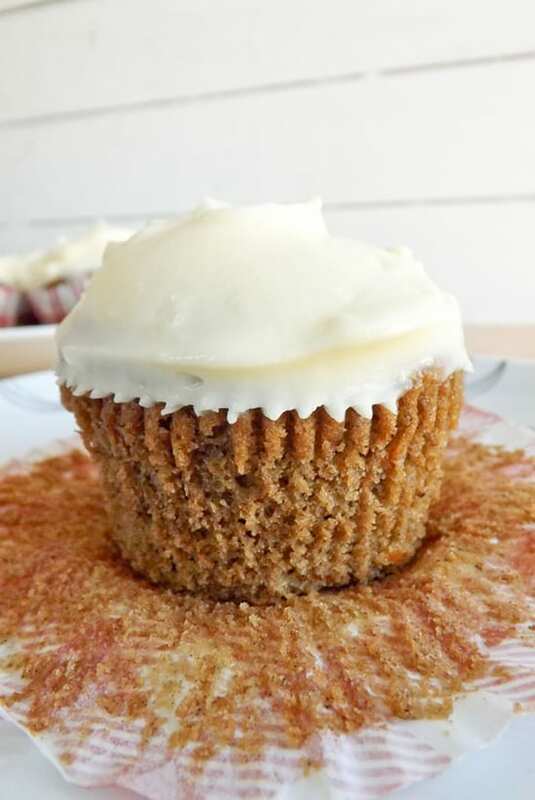 These are lighter and that cinnamon cream cheese frosting is just to die for! 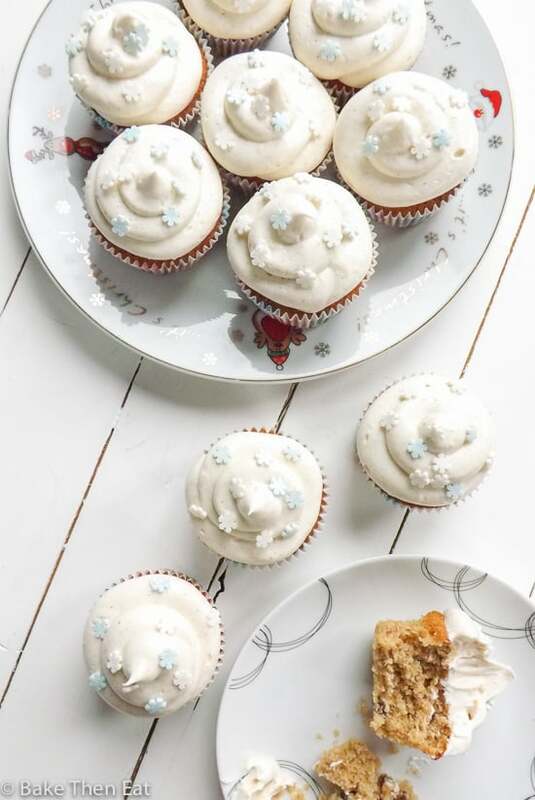 Sweet Mincemeat Christmas Cupcakes are a soft fluffy cupcake flavoured with sweet mincemeat and warming spices topped with smooth creamy cinnamon cream cheese frosting. Preheat your oven to 180C / 350F / Gas mark 4 and line a 12 hole muffin pan with liners. Beat the butter and sugar together until they are well combined and light and fluffy. Add the eggs one at a time beating in-between each addition, then add in the vanilla extract and mix. Sieve the flour, baking powder and spices together and add half of it to the batter and gently mix it in until it is fully incorporated. Add in the milk to the batter and mix. Add in the remaining flour and gently mix everything together. Fold in the sweet mincemeat. Spoon the batter into your cupcake cases don't fill them any further than 2/3rd's full. Then pop them into your oven and bake them for 15 minutes. Check them at this point and if they are ready take them out and allow them to sit in the hot tin for a minute before transferring them to a wire rack to fully cool down. If they are not yet ready give them a few more minutes in the oven. While the cupcakes are cooling beat the butter until it is pale and fluffy about 4 to 5 minutes. Beat in the cream cheese until it is fully incorporated about 2 minutes should do it. Sieve in the icing sugar and ground cinnamon and on a low speed mix it all together. 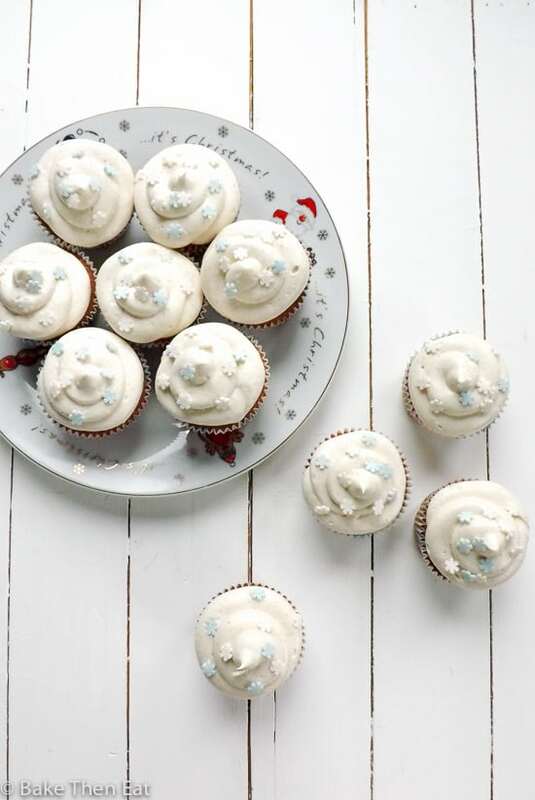 Beat for a further minute then spoon or pipe your frosting generously on top of your cupcakes and add a few festive sprinkles if you wish too. 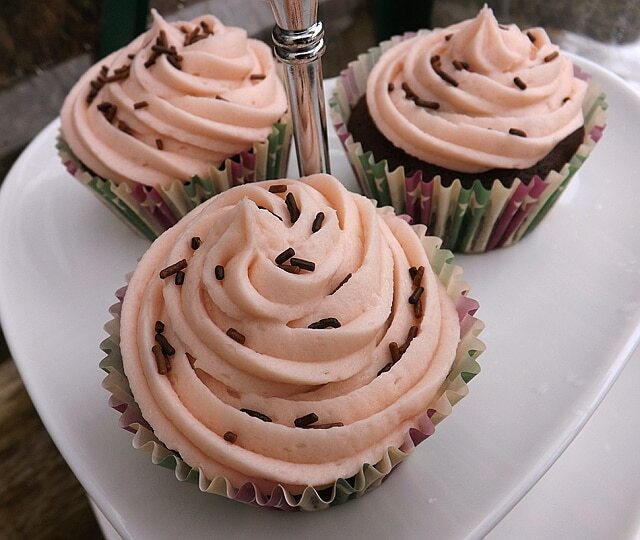 These cupcakes need to be kept in the fridge, take them out for 10 minutes before serving. In the fridge these cupcake will be good for 5 days. Oh no, that’s awful!! So sorry to hear about the hacker but I’m glad you got everything worked out. 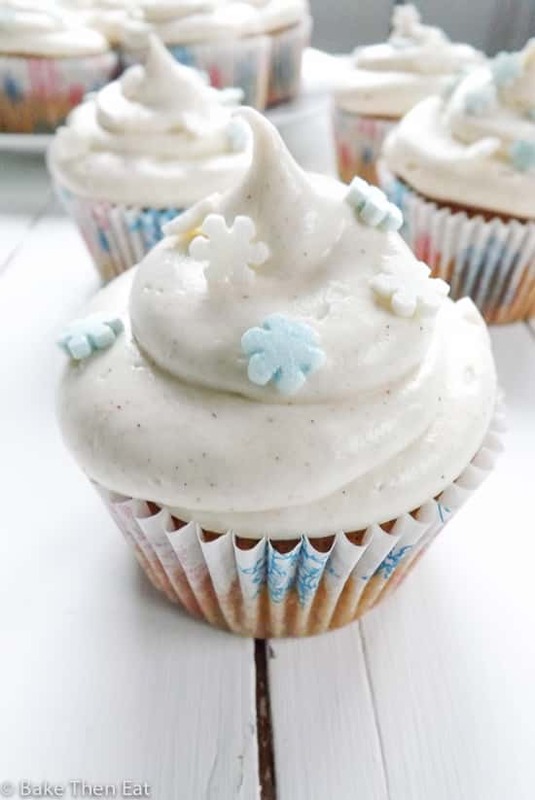 These cupcakes are SO pretty and festive! I love that they are lighter too! 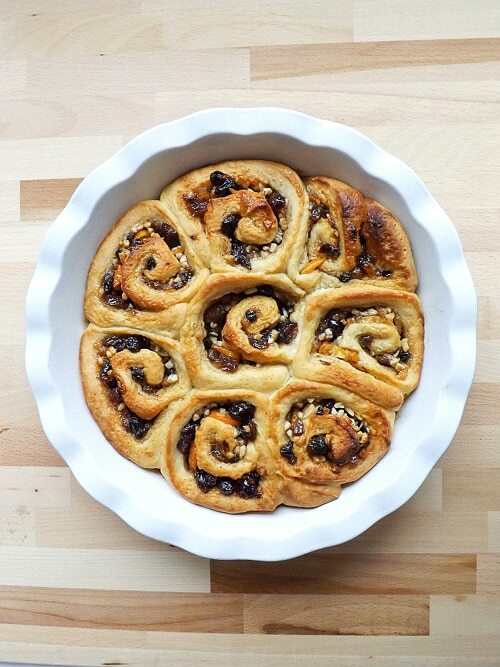 These are perfect for Christmas entertaining and who wouldn’t love the mincemeat idea? Clever AND beautiful! Hi Brianna, thank you. I just hope the hacker leaves me alone for a while! They are so Xmasy and beautiful, Emma.